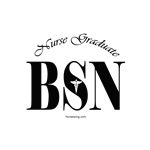 BSN Nursing Graduation Gifts: These graduation cards & gifts have been designed to congratulate nursing students who are graduating with their four year degree or Bachelor's Degree. 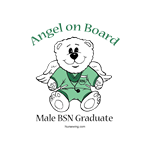 These gifts are a personalized way to remember that special BSN Nurse Graduate for her / his hard work. ALERT: The gifts in this section are for BSN Nurse Graduates or Nurses graduating with their Bachelor's Degree in Nursing.